Express overnight shipping is included on this gift. Only standard shipping and processing charges will apply. Please note: To avoid weekend transit, orders placed after 10AM PT / 1 PM ET on Thursday will ship on Monday of the following week. A rich, royal blue drizzle accents each one of these extra-large chocolate-covered strawberries, making for a unique and strikingly beautiful treat. 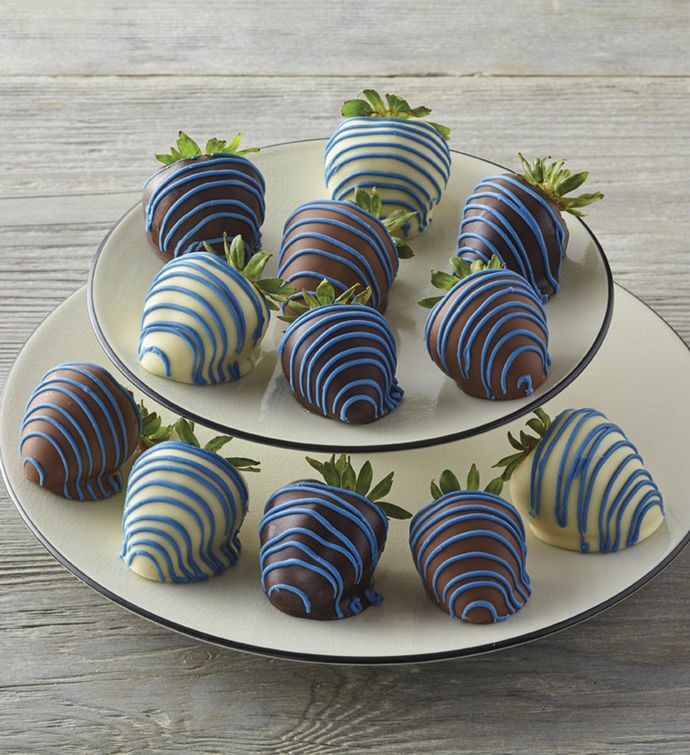 Once picked, the strawberries are shipped while still fresh to artisan chocolatiers, who individually hand-dip each berry in pure Belgian chocolate. Includes four dipped in milk chocolate, four in white chocolate, and four in dark chocolate.